A hatch so hot it’ll make the paint melt off. 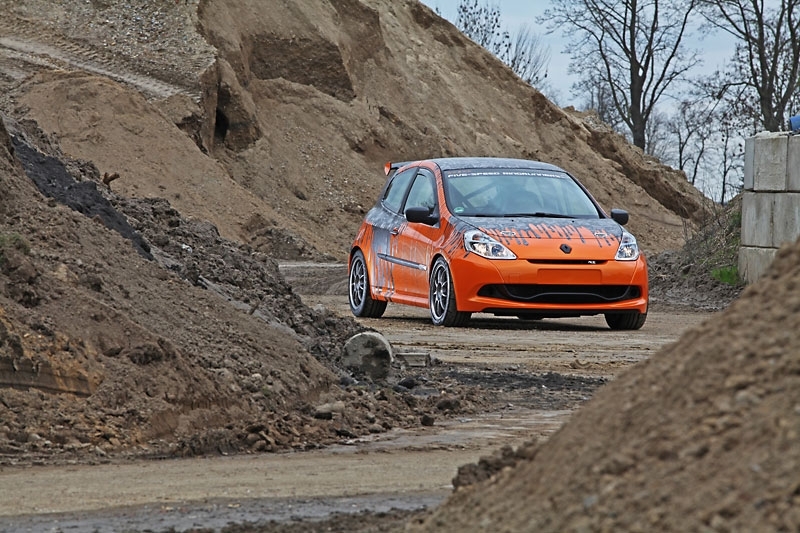 The Renault Clio 200 Cup is a hot hatch with nimble suspension and motorsport pumping through its veins. 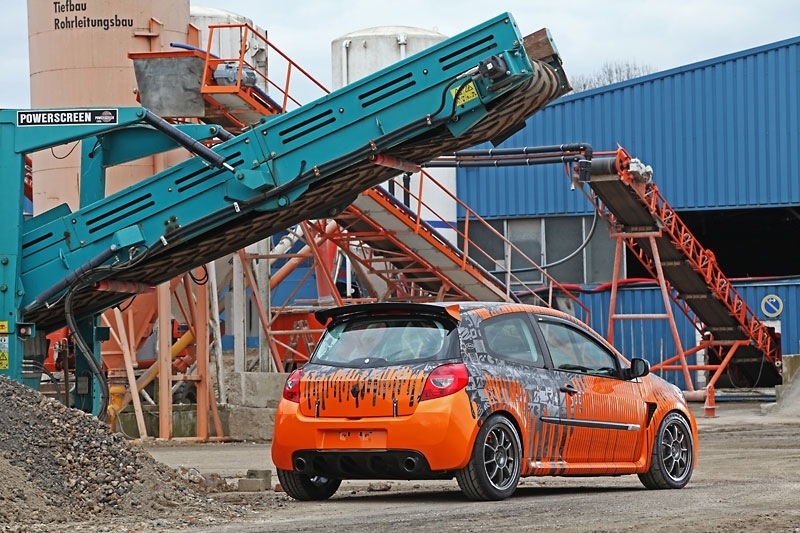 The car wrapping specialists at Cam Shaft Premium Car Wrapping have designed a new wrap that is sporty and urban, and makes the Clio stand out from the competition. 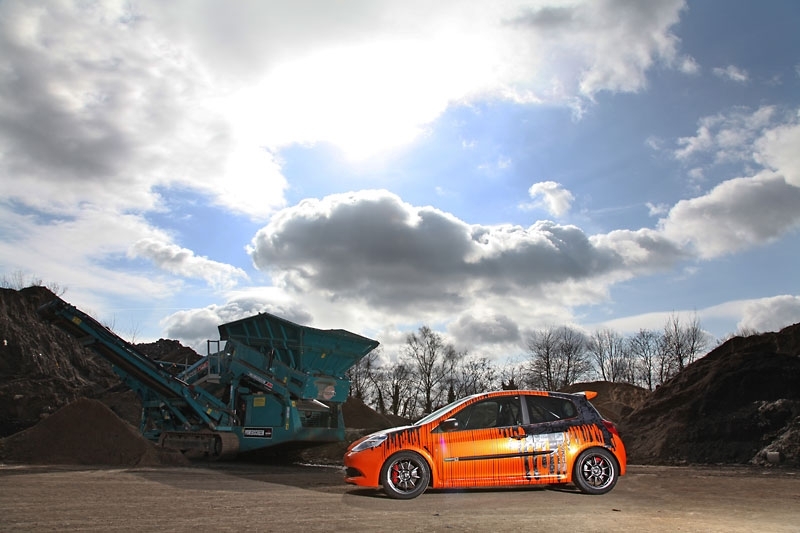 The new Clio 200 Cup tuning program brings the car closer to its motorsport roots than ever before. The 2.0-liter four-cylinder gains a K&N sport air filter and new Akrapovic exhaust system with dual end pipes for more power and better sound. 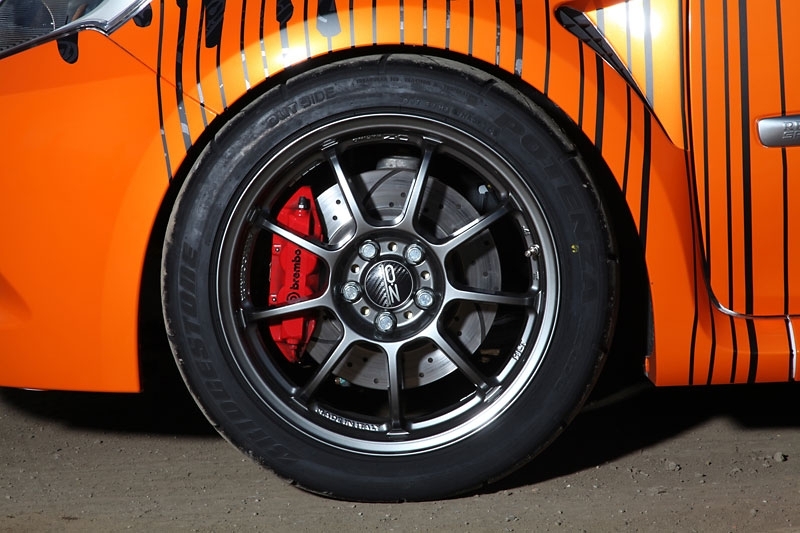 The suspension has been fine tuned by Cam Shaft Premium Car Wrapping with the addition of KW Variant 2 coilovers with sport bearings and discs, and the braking system utilizes EBC Brakers brake lines and Brembo calipers for more consistent stopping power. All four of the stock wheels were replaced in the Clio 200 Cup tuning program with lighter OZ Alleggerita HTL rims with a black finish. 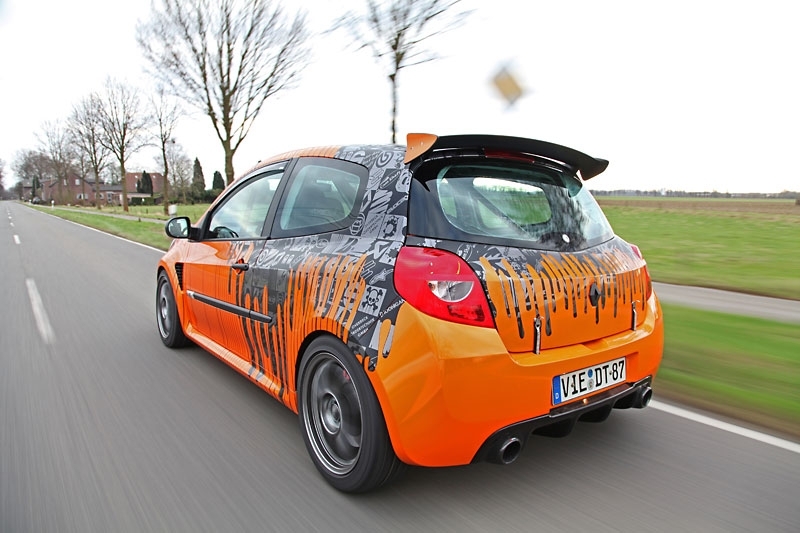 The biggest eye-catcher on the Renault Clio 200 Cup tuning program is the Cam Shaft Premium Car Wrapping exterior design. 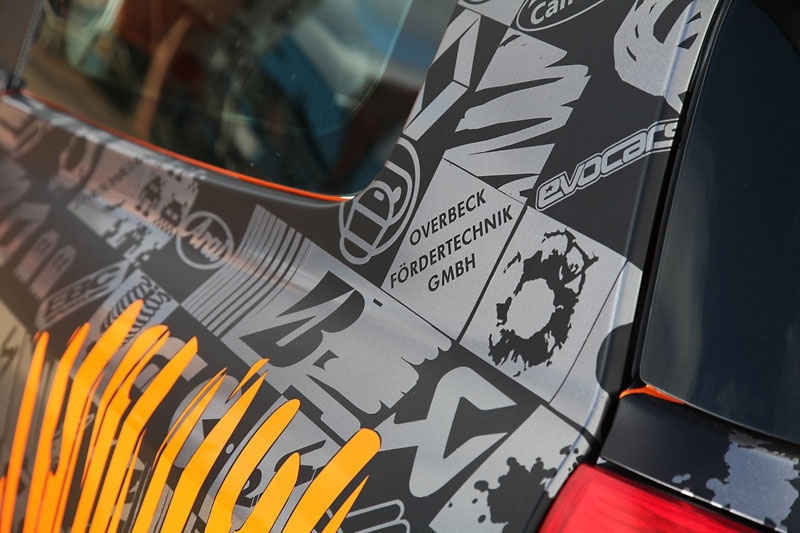 The top of the Clip 200 Cup features a number of parts manufacture’s logos in square sections that are covered by a bright orange color towards the bottom of the car in a dripping design. 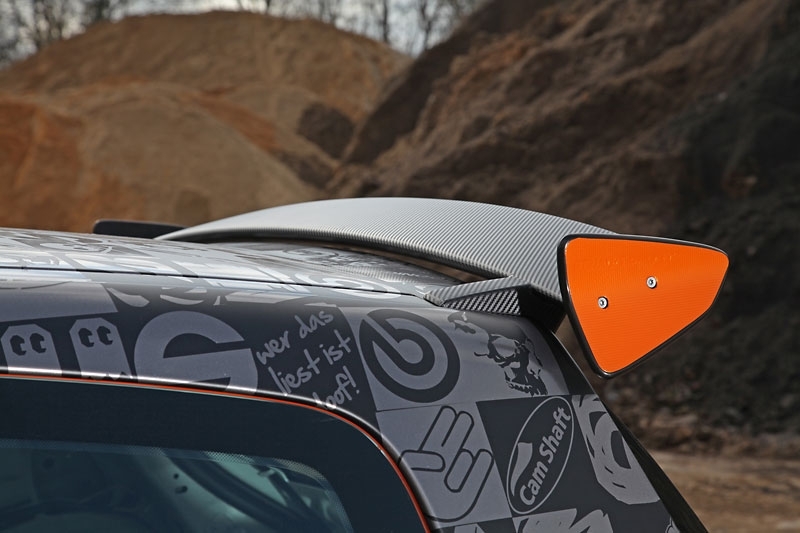 The wrap gives the hatch a dynamic and urban look that also is featured in the interior. 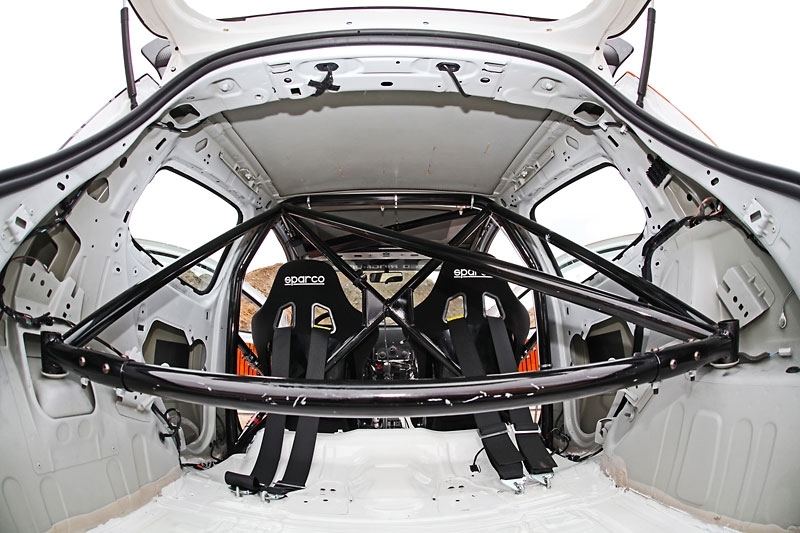 The interior of the Clio 200 Cup has been gutted to save weight and features motorsports modifications such as a roll cage by Matter. The stock seats were replaced with lightweight Sparco racing seats with generous side supports and the steering wheel was replaced with a new unit from Evo. 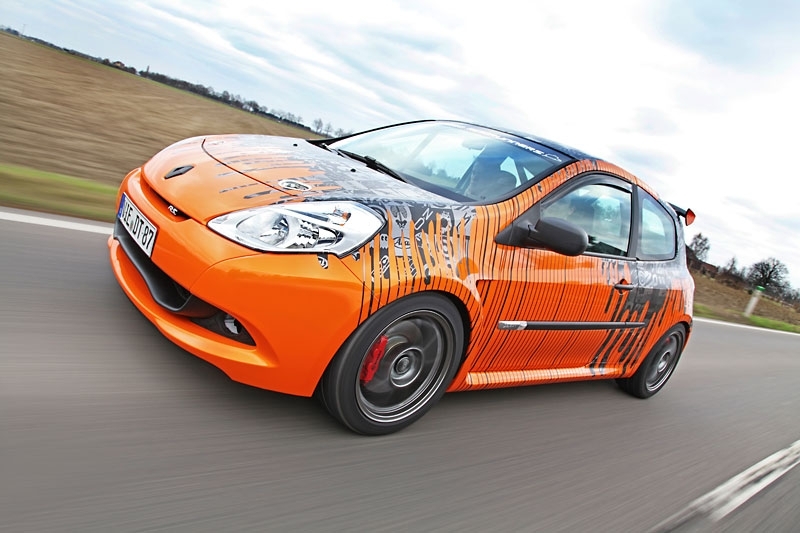 The inside door panels were also given the Cam Shaft Premium Car Wrapping treatment with bleeding orange design and black pattern. 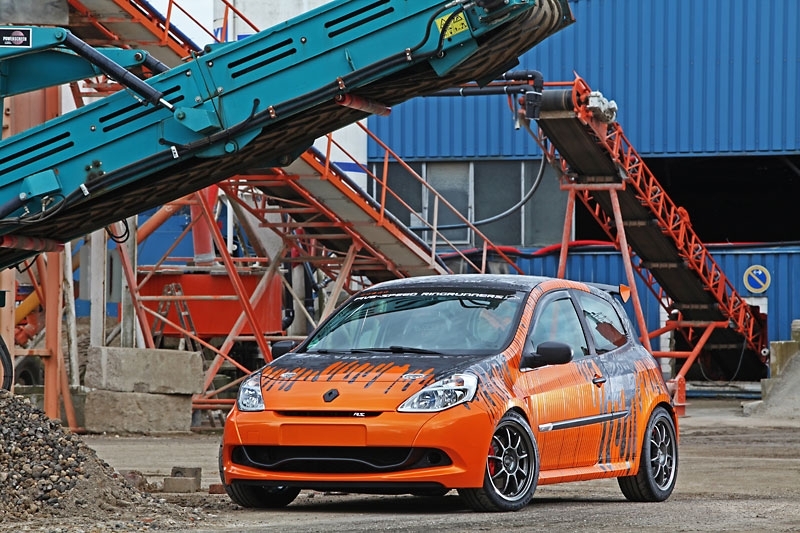 The new Cam Shaft Premium Car Wrapping Renault Clio 200 Cup tuning program is currently available. 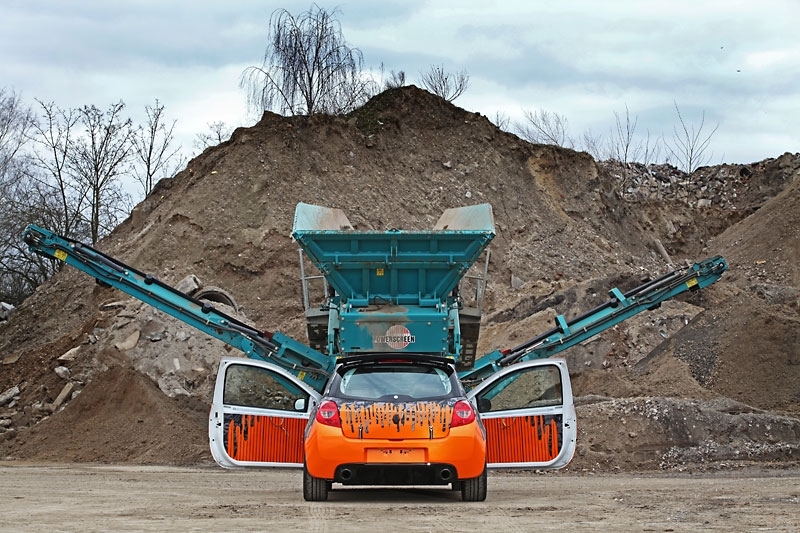 Customers can work with the company to create custom car wrap designs for any car, and the wrap is completely reversible. 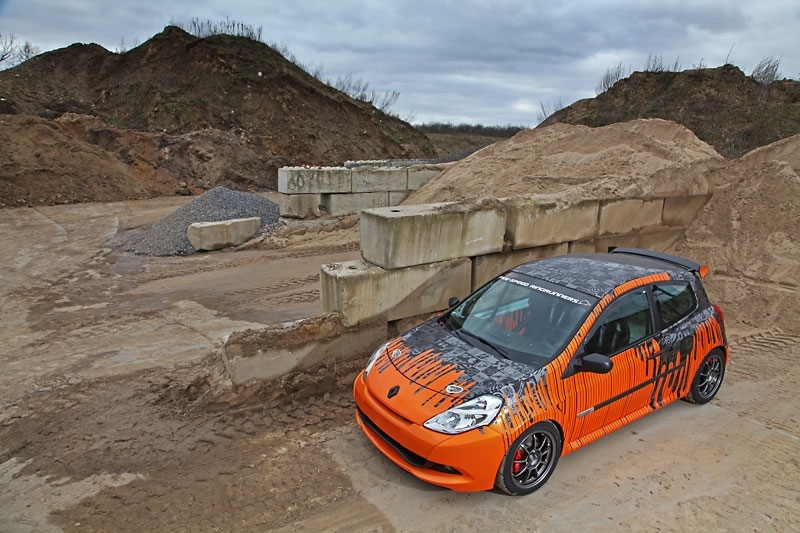 What do you think of the Renault Clio 200 Cup’s new wrap? Leave a comment and let us know! 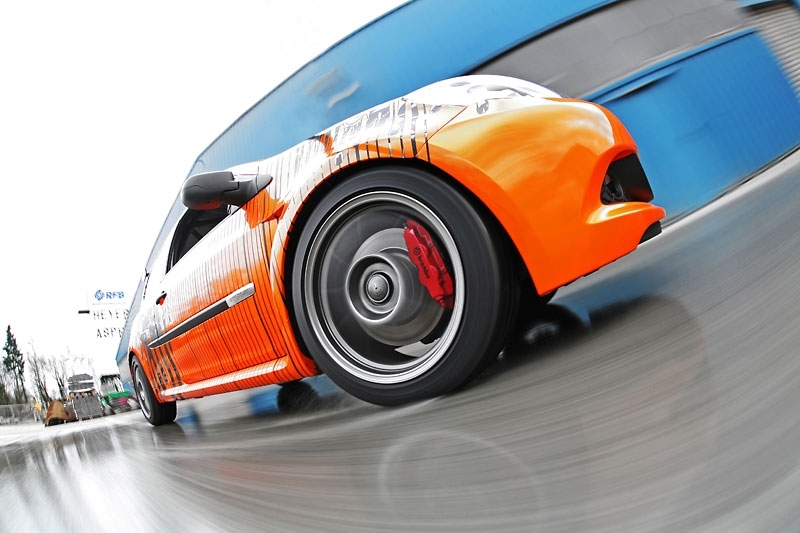 Go Spinning with Jean Ragnotti in a Renault at Goodwood!